KANEOHE, OAHU (HawaiiNewsNow) - The 12 Marines aboard two choppers that collided off Oahu's North Shore late Thursday have officially been declared dead. The U.S. Marine Corps made the announcement Thursday, two days after the search for the Marines was suspended. The families of the Marines have been notified. "Our thoughts and prayers are with the Marines and their families as we all mourn this tragic loss of life," the Marine Corps said, in a statement. "The Marine Corps is focused on taking care of our Marines and their families." 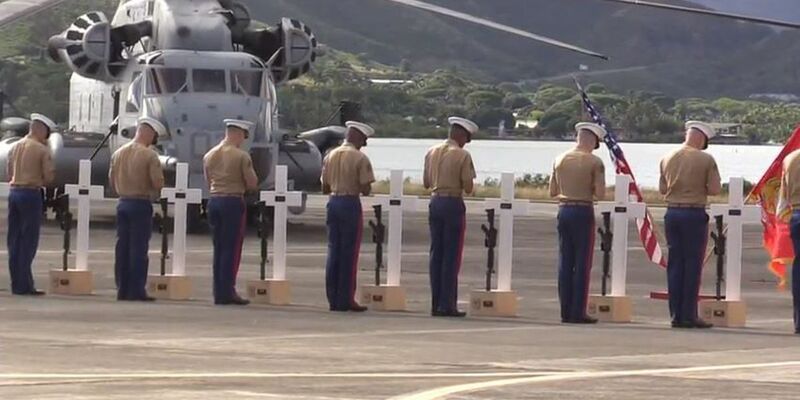 A memorial for the Marines will be held Friday at Marine Corps Base Hawaii, starting at 10 a.m. The memorial is not open to the public. 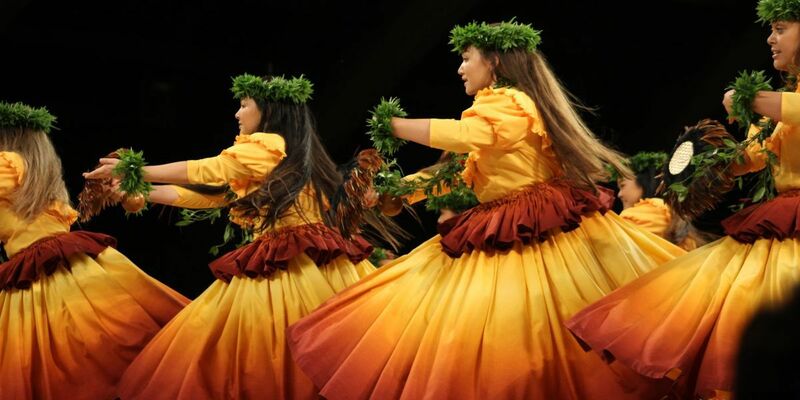 A second memorial will be held at Kailua Assembly of God on Friday at 7 p.m. That service is open to the public. Multiple county, state and federal agencies searched around the clock by air and by sea for the Marines, who were conducting a routine night training mission when the crash happened about 10:40 p.m. a week ago. The collision, nearly two miles off Haleiwa, created what witnesses described as a "fireball" in the night sky, and shook homes on the North Shore. Maj. Shawn M. Campbell served as a CH-53E Super Stallion pilot at Marine Corps Base Hawaii. Campbell, 41, from College Station, Texas, joined the Marine Corps Sept. 30, 1999. His deployments include Operation Iraqi Freedom and the 26th Marine Expeditionary Unit. Campbell's decorations include the Air Medal with strike/flight device, Navy and Marine Corps Commendation Medal with gold star in lieu of second award, Navy Unit Commendation with two bronze stars in lieu of third award, National Defense Service Medal, Iraq Campaign Medal with two bronze campaign stars, Global War on Terrorism Expeditionary Medal, Global War on Terrorism Service Medal and the Sea Service Deployment Ribbon with two bronze stars in lieu of third award. Capt. Brian T. Kennedy served as a CH-53E Super Stallion pilot with Marine Corps Base Hawaii. Kennedy, 31, from Philadelphia, Pennsylvania, joined the Marine Corps July 1, 2003. His decorations include the Navy and Marine Corps Achievement Medal, National Defense Service Medal, Global War on Terrorism Expeditionary Medal, Global War on Terrorism Service Medal and the Sea Service Deployment Ribbon with one bronze star in lieu of second award. Capt. Kevin T. Roche served as a CH-53E Super Stallion pilot with Marine Corps Base Hawaii. Roche, 30, from St. Louis, Missouri, joined the Marine Corps Dec. 19, 2005. His deployments include Operation Enduring Freedom. Roche's decorations include the Navy and Marine Corps Commendation Medal, National Defense Service Medal, Afghanistan Campaign Medal, Global War on Terrorism Service Medal, Korean Defense Service Medal and the Sea Service Deployment Ribbon with one bronze star in lieu of second award. Capt. Steven R. Torbert served as a CH-53E Super Stallion pilot with Marine Corps Base Hawaii. Torbert, 29, from Florence, Alabama, joined the Marine Corps Oct.14, 2004. Torbert's decorations include the National Defense Service Medal, Global War on Terrorism Service Medal and the Sea Service Deployment Ribbon. Sgt. Adam C. Schoeller served as a CH-53E Super Stallion crew chief at Marine Corps Base Hawaii. Schoeller, 25, from Gardners, Pennsylvania, joined the Marine Corps March 23, 2008. His deployments include Operation Enduring Freedom. Schoeller's decorations include the Air Medal with one individual action device and five strike/flight devices, Navy and Marine Corps Achievement Medal, Marine Corps Good Conduct Medal with bronze star in lieu of second award, National Defense Service Medal, Afghanistan Campaign Medal, Global War on Terrorism Expeditionary Medal, Global War on Terrorism Service Medal, Sea Service Deployment Ribbon with bronze star in lieu of second award, and the NATO Medal. Sgt. Dillon J. Semolina served as a CH-53E Super Stallion crew chief with Marine Corps Base Hawaii. Semolina, 24, from Chaska, Minnesota joined the Marine Corps Sept. 1, 2011. Sergeant Semolina's decorations include the Marine Corps Good Conduct Medal, National Defense Service Medal, Global War on Terrorism Service Medal and the Sea Service Deployment Ribbon. Sgt. Jeffrey A. Sempler served as a CH-53E Super Stallion helicopter crew chief at Marine Corps Base Hawaii. Sempler, 22, from Woodruff, South Carolina joined the Marine Corps Aug. 12, 2010. Sempler's decorations include the Marine Corps Good Conduct Medal, National Defense Service Medal, Global War on Terrorism Service Medal and the Sea Service Deployment Ribbon. Sgt. William J. Turner served as a CH-53E Super Stallion helicopter crew chief at Marine Corps Base Hawaii. Turner, 25, from Florala, Alabama, joined the Marine Corps Aug. 8, 2008. His deployments include Operation Enduring Freedom. Turner's decorations include the Air Medal with four strike/flight devices, Marine Corps Good Conduct Medal with bronze star in lieu of second award, National Defense Service Medal, Afghanistan Campaign Medal, Global War on Terrorism Service Medal, Sea Service Deployment Ribbon and the NATO Medal. Cpl. Matthew R. Drown served as a CH-53E Super Stallion helicopter crew chief at Marine Corps Base Hawaii. Drown, 23, from Spring, Texas, joined the Marine Corps on March 2, 2011. Drown's decorations include the Marine Corps Good Conduct Medal, National Defense Service Medal and the Global War on Terrorism Service Medal. Cpl. Thomas J. Jardas served as a CH-53E Super Stallion helicopter crew chief at Marine Corps Base Hawaii. Jardas, 22, from Ft. Myers, Florida, joined the Marine Corps on May 6, 2011. Jardas' decorations include the Marine Corps Good Conduct Medal, National Defense Service Medal, Global War on Terrorism Service Medal and the Sea Service Deployment Ribbon. Cpl. Christopher J. Orlando served as a CH-53E Super Stallion helicopter crew chief at Marine Corps Base Hawaii. Orlando, 23, from Hingham, Massachusetts, joined the Marine Corps on Aug. 9, 2012. Corporal Orlando's decorations include the National Defense Service Medal, Global War on Terrorism Service Medal and the Sea Service Deployment Ribbon. Lance Cpl. Ty L. Hart served as a CH-53E Super Stallion helicopter crew chief with Marine Heavy Helicopter Squadron 463, Marine Aircraft Group 24, 1st Marine Aircraft Wing stationed on Marine Corps Base Hawaii. Hart, 21, from Aumsville, Oregon, joined the Marine Corps Aug, 8 2012. Lance Corporal Hart's decorations include the National Defense Medal and the Global War on Terrorism Service Medal. Mobile users: To see a slideshow of the 12 missing Marines, click here. To see photos of the search operations, click here.